Elizabeth I, Queen of England. A life in portraits. So what did she really look like? Quotes from visitors to her Court can perhaps shed some light. “Although her face is comely rather than handsome, she is tall and well-formed, with a good skin, although swarthy; she has fine eyes and above all, a beautiful hand with which she makes display. It is known however that she contracted smallpox in 1562 which left her face scarred. She took to wearing white lead makeup to cover the scars. In later life, she suffered the loss of her hair and her teeth, and in the last few years of her life, she refused to have a mirror in any of her rooms. 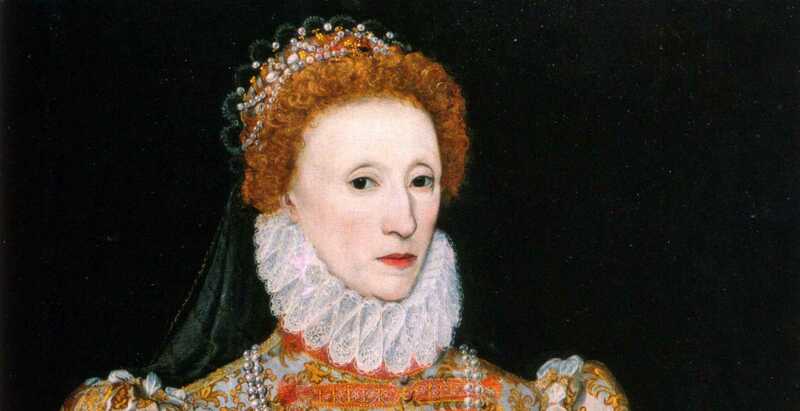 So, because of her vanity, perhaps we shall never know exactly what Elizabeth I (1533 – 1603) looked like.